Let me be the first to welcome you to Our Lady of Perpetual Help Catholic School's new website. We have been providing children with quality Catholic education since 1956. 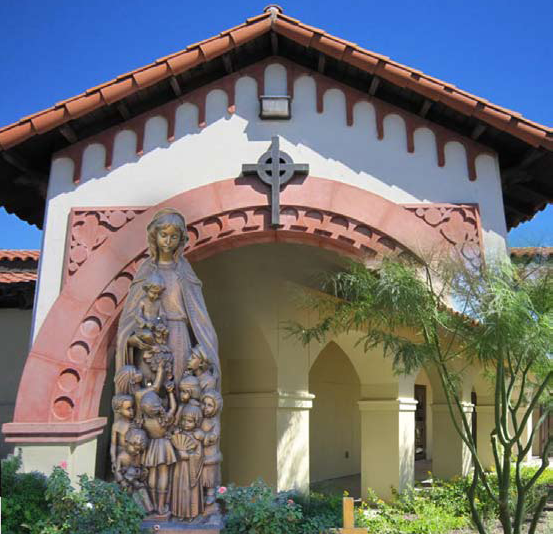 Our school is located in downtown Scottsdale, where we serve approximately 400 students in Transitional Kindergarten through eighth grade. Our campus features 18 classrooms, a computer lab, a STEAM lab, a music room, a library, and a gym. It is a great responsibility to raise children in the Catholic faith. We take this seriously and make every effort to entwine Catholic teachings and traditions into daily instruction. Our Lady of Perpetual Help Catholic School students learn the importance of knowing, loving, and serving God, their families, and each other. It is most often the sense of family and community that our parents highlight as our most distinguishing characteristic. We provide a challenging academic curriculum, enhanced by fine arts, Spanish, and physical education. Our students leave our school well prepared for high school as self directed life-long learners, with particular strengths in critical thinking and communication. This is my nineteenth year at Our Lady of Perpetual Help Catholic School. I have experienced this community as a parent, a teacher aide, a teacher, and for the last 8 years as an administrator. My heart is here, this is my parish, and I welcome you to visit and see what makes Our Lady of Perpetual Help Catholic School unique. Monday - Thursday 7:30a.m.- 4:00p.m. Friday 7:30a.m. - 2:00 p.m.